I received compensation from the Egg Nutrition Center for creating this recipe and post. All opinions are my own. 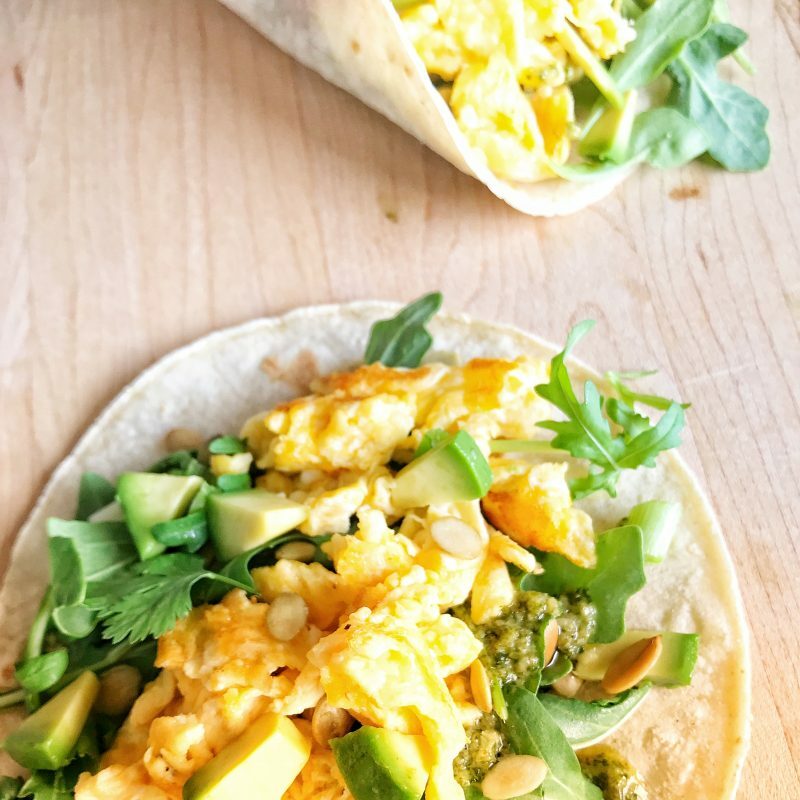 I’ve always loved ‘eggs for dinner,’ and these nourishing, flavor-filled Scrambled Egg Tacos with Cilantro Lime Pumpkin Seed Drizzle are no exception. 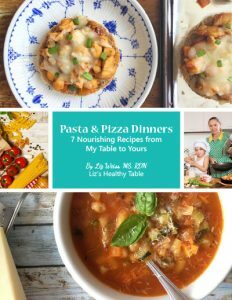 They’re so easy to make that even when you’re on the go and in a hurry, you can assemble them quickly. No muss, no fuss! 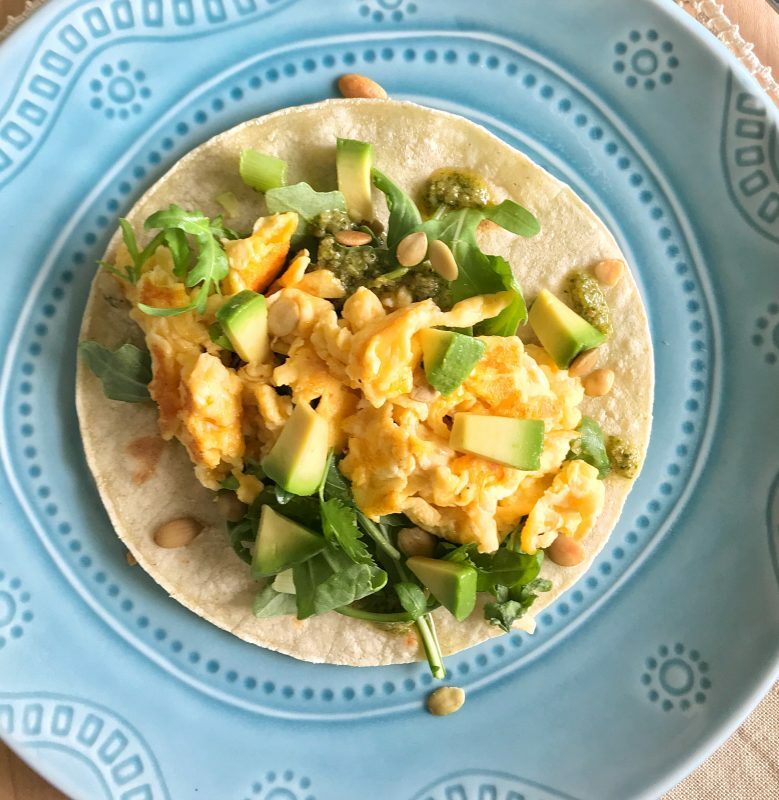 Set out the tortillas, scrambled eggs, and a medley of toppings—avocado, green onions, cilantro, toasted pumpkin seeds—and let everyone create their own. Eggs are affordable, nutritious, versatile, and the perfect solution to your dinnertime woes. No time? No problem. Eggs cook up quickly, so they can be on the table in a matter of minutes. Eggs are small, but they pack a powerful nutrition punch. One large egg has just 70 calories but an impressive 6 grams of protein and 13 essential nutrients including vitamin D, choline, and lutein. 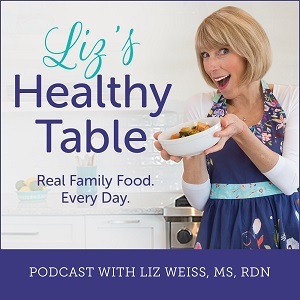 If you’re looking for a way to get your kids into the kitchen to help with the dinnertime prep, this recipe provides ample opportunity to engage pint-sized sous chefs. 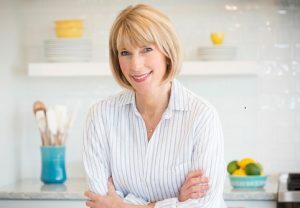 They can help you crack the eggs, whisk them in a bowl, add the milk and cheese, and they can certainly help to build their own tacos once everything has been laid out. When it comes to eggs, I’m pretty enthusiastic. In fact, a few months back, the Egg Nutrition Center invited me to become one of their Egg Enthusiasts. 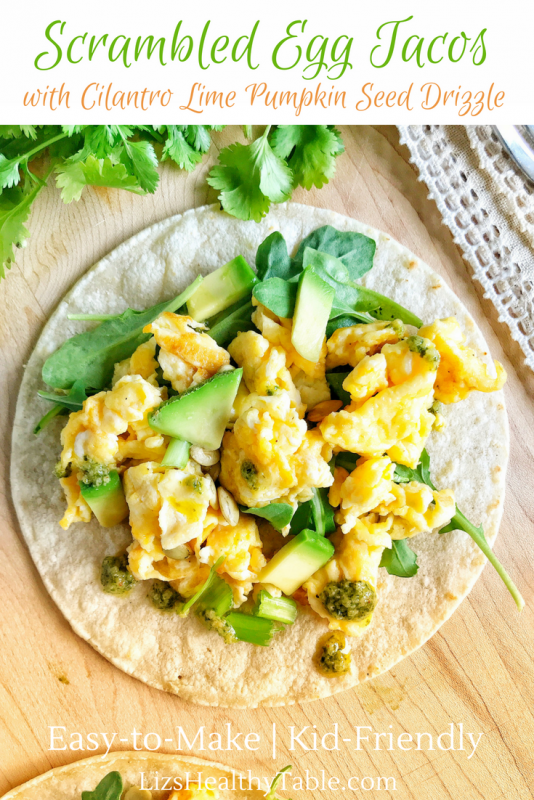 As an #EggEnthusiastic, I share news about new egg research, share egg-inspired recipes that I discover online, and create original recipes like these eggs-for-dinner tacos. When I tested the recipe earlier this week, my boys devoured them the second they were assembled (well, actually, after I took photos! 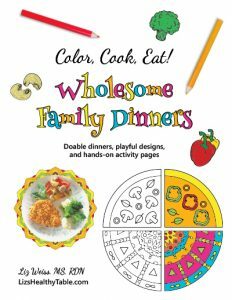 ), and I have a hunch your kids will love every bite as well. To make the recipe, start with the cilantro drizzle (AKA the secret sauce). You can make it the day before, cover, and store in the fridge. The “drizzle” can do double duty as a sauce for the tacos and a salad dressing the next night if you’ve got any left over. To make it, I use my mini food processor to puree fresh cilantro and basil, lime zest and lime juice, garlic, honey, and extra virgin olive oil. I also add toasted pumpkin seeds for added nutrition (they contain fiber and iron) and a subtle crunchy texture. Once the sauce is complete, set it aside and get cracking (pun intended) on the taco filling. Heat a stack of 8 to 12 soft corn tortillas according to package directions and then set aside and keep warm. Prep a medley of toppings: fresh cilantro leaves, diced avocado, thinly sliced green onion, arugula, toasted pumpkin seeds, and reduced-fat shredded cheese. Set out a taco bar with the cilantro sauce, tortillas, and toppings. The final step for your eggs-for-dinner tacos is the filling itself. Simply scramble up 8 eggs with milk, reduced-fat shredded Cheddar cheese, and salt and pepper to taste. Dinner is pretty much done! I've always made tacos with crunchy taco shells. But recently, I've been on a bit of a jag with soft corn tortillas. You can heat them individually in a skillet or zap a stack in the microwave. 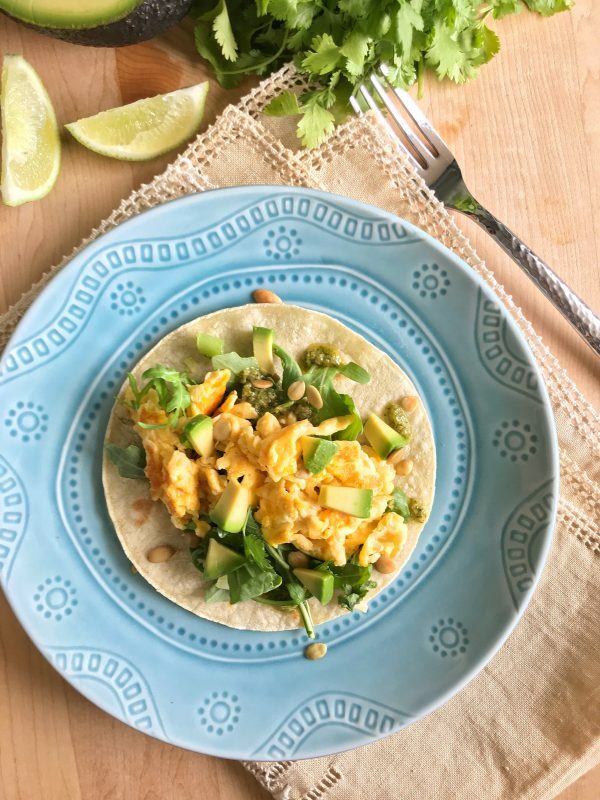 Corn tortillas lend a lovely, slightly sweet flavor to the creamy textured scrambled egg filling. Depending on each family member’s age and appetite, plan for 2 to 3 tacos per person. 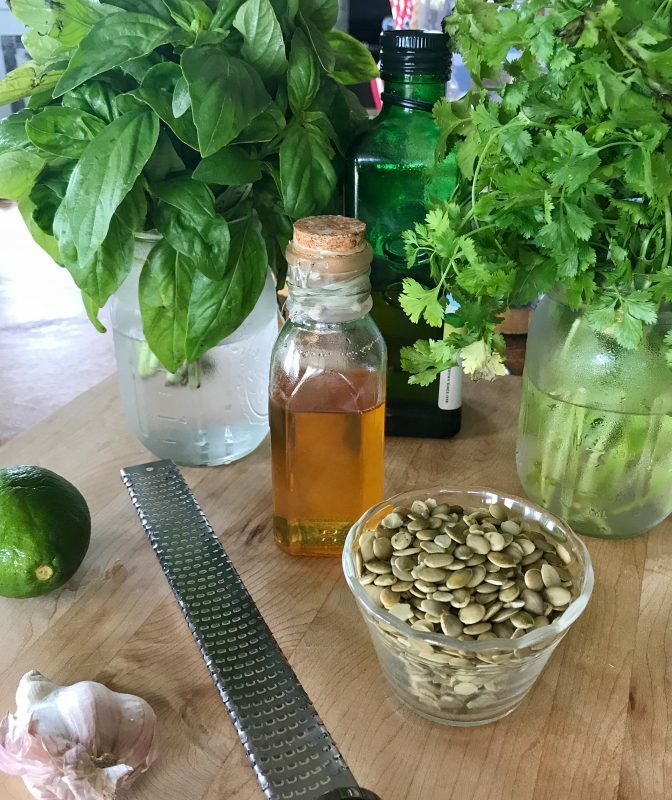 Place the olive oil, cilantro, basil, pumpkin seeds, lime zest, lime juice, honey, and garlic in a mini food processor or blender, and process until everything is pureed. Season with salt and pepper to taste and add more herbs as desired. Pour into a small bowl, cover with plastic wrap, and set aside. Warm the corn tortillas according to package directions. Cover and set aside. Assemble optional toppings in small bowls and arrange on the kitchen counter or table or wherever you plan to build your tacos. Place the eggs, cheese, and milk in a large bowl and whisk until well combined. Coat a large nonstick skillet with nonstick cooking spray and place over medium heat. Add the egg mixture. Use a large spatula to pull the eggs across the skillet as they set. Break up into small pieces. Continue cooking until the eggs are cooked through, 2 to 3 minutes. Transfer the cooked eggs to a warmed bowl. To assemble, let everyone create their own tacos as they go. For me, I like to arrange a few arugula leaves on the warmed taco. I then top it with the scrambled eggs, all the other optional toppings, and 1 to 2 teaspoons of the cilantro drizzle. What’s your favorite eggs-for-dinner recipe? Pancakes? Omelets? Salads? Quiche? 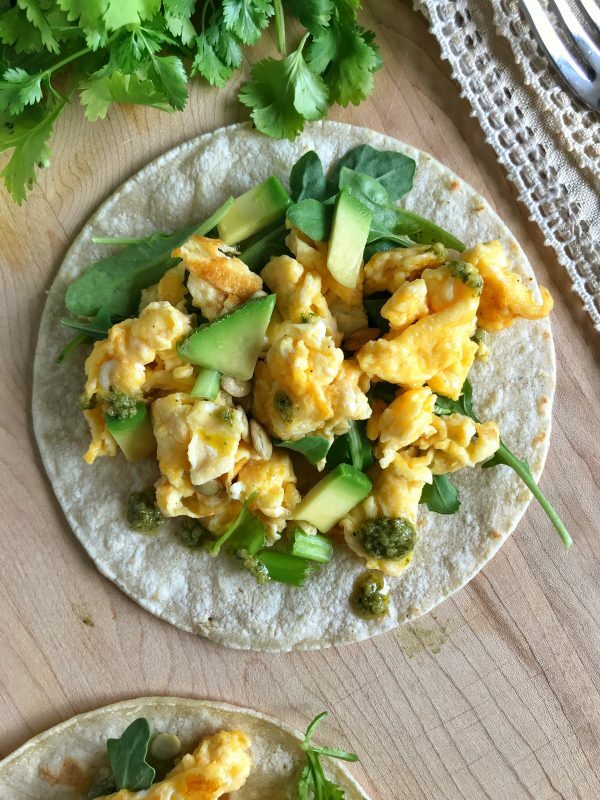 Tell me about your favorites, and be sure to check out my roundup of 50 eggs-for-breakfast recipes on the blog! Ok I love Tacos 🌮 Cilantro & Eggs 🥚 I can not wait to make this!